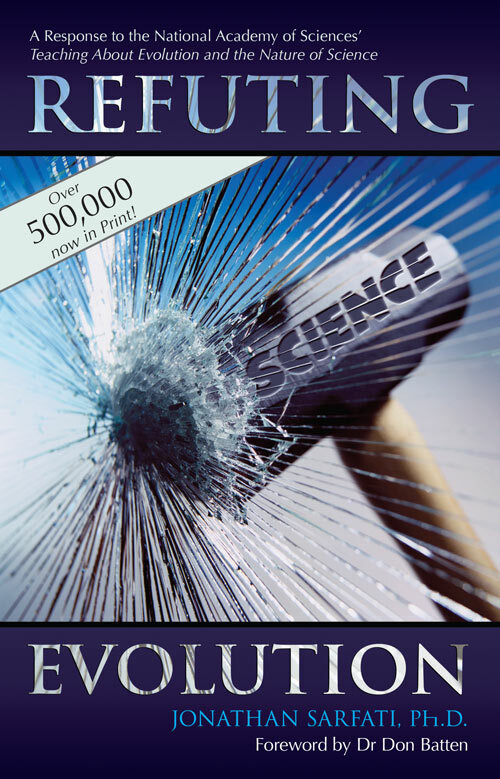 Evolutionists fallaciously think that billions of years of time makes particles-to-people evolution possible. So Teaching about Evolution and the Nature of Science presents what it claims is evidence for vast time spans. This is graphically illustrated in a chart on pages 36–37: man’s existence is in such a tiny segment at the end of a 5-billion-year time-line that it has to be diagrammatically magnified twice to show up. On the other hand, basing one’s ideas on the Bible gives a very different picture. The Bible states that man was made six days after creation, about 6,000 years ago. So a time-line of the world constructed on biblical data would have man almost at the beginning, not the end. If we took the same 15-inch (39 cm) time-line as does Teaching about Evolution to represent the biblical history of the earth, man would be about 1/1000 of a mm away from the beginning! Also, Christians, by definition, take the statements of Jesus Christ seriously. He said: ‘But from the beginning of the creation God made them male and female’ (Mark 10:6), which would make sense with the proposed biblical time-line, but is diametrically opposed to the Teaching about Evolution time-line. This chapter analyzes rock formation and dating methods in terms of what these two competing models would predict. Sedimentary rocks are formed when solid materials carried by wind and water accumulate in layers and then are compressed by overlying deposits. Sedimentary rocks sometimes contain fossils formed from the parts of organisms deposited along with other solid materials. The ‘deep time’ indoctrination comes with the statement ‘often reaching great thicknesses over long periods of time.’ However, this goes beyond the evidence. Great thicknesses could conceivably be produced either by a little water over long periods, or a lot of water over short periods. We have already discussed how different biases can result in different interpretations of the same data, in this case the rock layers. It is a philosophical decision, not a scientific one, to prefer the former interpretation. Because sedimentation usually occurs slowly today, it is assumed that it must have always occurred slowly. If so, then the rock layers must have formed over vast ages. The philosophy that processes have always occurred at roughly constant rates (‘the present is the key to the past’) is often called uniformitarianism. It should also be pointed out that uniformitarian geologists have long allowed for the occasional (localized) catastrophic event. However, modern historical geology grew out of this general ‘slow and gradual’ principle, which is still the predominantly preferred framework of explanation for any geological formation. Nevertheless, the evidence for catastrophic formation is so pervasive that there is a growing body of neo-catastrophists. But because of their naturalistic bias, they prefer, of course, to reject the explanation of the Genesis (global) flood. However, a cataclysmic globe-covering (and fossil-forming) flood would have eroded huge quantities of sediment, and deposited them elsewhere. Many organisms would have been buried very quickly and fossilized. So when we start from the bias that the Bible is God’s Word and is thus true, we can derive reasonable interpretations of the data. Not that every problem has been solved, but many of them have been. Conversely, how does the ‘slow and gradual’ explanation fare? Think how long dead organisms normally last. Scavengers and rotting normally remove all traces within weeks. Dead jellyfish normally melt away in days. Yet Teaching about Evolution has a photo of a fossil jellyfish on page 36. It clearly couldn’t have been buried slowly, but must have been buried quickly by sediments carried by water. This water would also have contained dissolved minerals, which would have caused the sediments to have been cemented together, and so hardened quickly. The booklet Stones and Bones6 shows other fossils that must have formed rapidly. One is a 7-foot (2m) long ichthyosaur (extinct fish-shaped marine reptile) fossilized while giving birth. Another is a fish fossilized in the middle of its lunch. And there is a vertical tree trunk that penetrates several rock layers (hence the term polystrate fossil). If the upper sedimentary layers really took millions or even hundreds of years to form, then the top of the tree trunk would have rotted away. Ironically, NASA scientists accept that there have been ‘catastrophic floods’ on Mars7 that carved out canyons8 although no liquid water is present today. But they deny that a global flood happened on earth, where there is enough water to cover the whole planet to a depth of 1.7 miles (2.7 km) if it were completely uniform, and even now covers 71 percent of the earth’s surface! If it weren’t for the fact that the Bible teaches it, they probably wouldn’t have any problem with a global flood on earth. This demonstrates again how the biases of scientists affect their interpretation of the evidence. Some elements, such as uranium, undergo radioactive decay to produce other elements. By measuring the quantities of radioactive elements and the elements into which they decay in rocks, geologists can determine how much time has elapsed since the rock has cooled from an initially molten state. 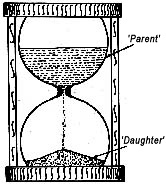 An hourglass ‘clock’ tells us the elapsed time by comparing the amount of sand in the top bowl (‘Parent’) with the amount in the bottom bowl (‘Daughter’). We know the quantities of sand in both containers at the start. Normally, an hourglass is up-ended when the top container is empty. But if this were not so, then it would take less time for the sand to fill the new bottom container to a particular level. The rate has stayed constant. For example, if the sand had become damp recently, it would flow more slowly now than in the past. If the flow were greater in the past, it would take less time for the sand to reach a certain level than it would if the sand had always flowed at the present rate. The system has remained closed. That is, no sand has been added or removed from either container. However, suppose that, without your knowledge, sand had been added to the bottom container, or removed from the top container. Then if you calculated the time since the last up-ending by measuring the sand in both containers, it would be longer than the actual time. For example, it requires that the rate of radioactive decay is constant over time and is not influenced by such factors as temperature and pressure—conclusions supported by extensive research in physics. It is true that in today’s world, radioactive decay rates seem constant, and are unaffected by heat or pressure. However, we have tested decay rates for only about 100 years, so we can’t be sure that they were constant over the alleged billions of years. Physicist Dr Russell Humphreys suggests that decay rates were faster during creation week, and have remained constant since then. There is some basis for this, for example radiohalo analysis, but it is still tentative. It also assumes that the rocks being analyzed have not been altered over time by migration of atoms in or out of the rocks, which requires detailed information from both the geologic and chemical sciences. This is a huge assumption. Potassium and uranium, both common parent elements, are easily dissolved in water, so could be leached out of rocks. Argon, produced by decay from potassium, is a gas, so moves quite readily. There are many examples where the dating methods give ‘dates’ that are wrong for rocks of known historical age. One example is rock from a dacite lava dome at Mount St Helens volcano. Although we know the rock was formed in 1986, the rock was ‘dated’ by the potassium-argon (K-Ar) method as 0.35 ± 0.05 million years old.9 Another example is K-Ar ‘dating’ of five andesite lava flows from Mt Ngauruhoe in New Zealand. The ‘dates’ ranged from < 0.27 to 3.5 million years—but one lava flow occurred in 1949, three in 1954, and one in 1975! If excess 40Ar* can cause exaggerated dates for rocks of known age, then why should we trust the method for rocks of unknown age? 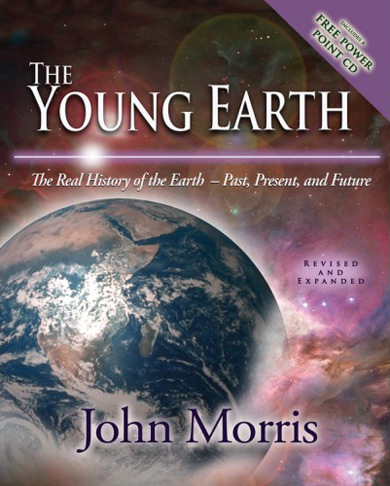 A number of other processes inconsistent with billions of years are given in the booklet Evidence for a Young World, by Dr Russell Humphreys. 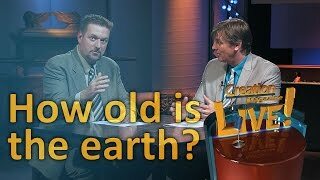 Creationists admit that they can’t prove the age of the earth using a particular scientific method. They realize that all science is tentative because we do not have all the data, especially when dealing with the past. This is true of both creationist and evolutionist scientific arguments—evolutionists have had to abandon many ‘proofs’ for evolution as well. For example, the atheistic evolutionist W.B. 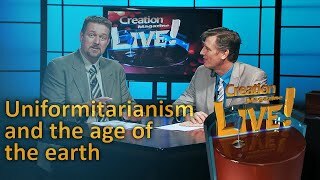 Provine admits: ‘Most of what I learned of the field in graduate (1964–68) school is either wrong or significantly changed.’20 Creationists understand the limitations of these dating methods better than evolutionists who claim that they can use certain present processes to ‘prove’ that the earth is billions of years old. In reality, all age-dating methods, including those which point to a young earth, rely on unprovable assumptions. 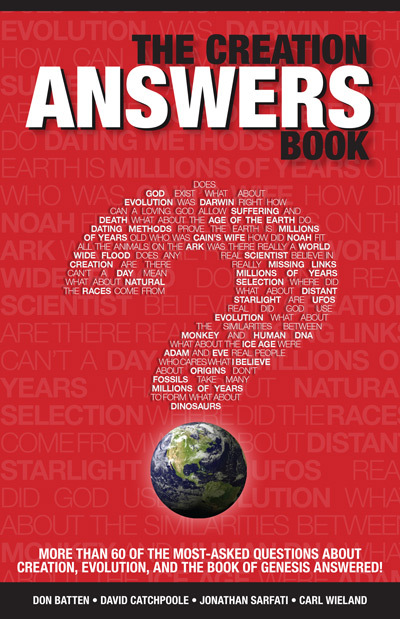 Creationists ultimately date the earth using the chronology of the Bible. This is because they believe that this is an accurate eyewitness account of world history, which can be shown to be consistent with much data. S.A. Austin, Mount St. Helens and catastrophism, Proceedings of the First International Conference on Creationism, 1:3–9, ed. R.E. Walsh, R.S. Crowell, Creation Science Fellowship, Pittsburgh, PA, USA, 1986; for a simplified article, see K. Ham, I got excited at Mount St Helens! Creation 15(3):14–19, June–August 1993. Return to text. Don Batten, Sandy stripes, Creation 19(1):39–40, December 1996–February 1997. Return to text. P. Julien, Y. Lan, and G. Berthault, Experiments on stratification of heterogeneous sand mixtures, Journal of Creation 8(1):37–50, 1994. Return to text. G. Berthault, Experiments on lamination of sediments, Journal of Creation 3:25–29, 1988. Return to text. H.A. Makse, S. Havlin, P.R. King, and H.E. Stanley, Spontaneous stratification in granular mixtures, Nature 386(6623):379–382, 27 March 1997. See also A. Snelling, Sedimentation experiments: Nature finally catches up! 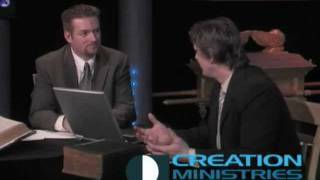 Journal of Creation 11(2):125–6, 1997. Return to text. Carl Wieland, Stones and Bones, (Green Forest, AR: Master Books, Inc., 1994). Return to text. R.A. Kerr, Pathfinder tells a geologic tale with one starring role, Science 279(5348):175, 9 January 1998. Return to text. O. Morton, Flatlands, New Scientist 159(2143):36–39, 18 July 1998. Return to text. S.A. Austin, Excess argon within mineral concentrates from the new dacite lava dome at Mount St. Helens volcano, Journal of Creation 10(3):335–343, 1986. Return to text. A.A. Snelling, The cause of anomalous potassium-argon ‘ages’ for recent andesite flows at Mt. Ngauruhoe, New Zealand, and the Implications for potassium-argon ‘dating,’ Proceedings of the Fourth International Conference on Creationism, Creation Science Fellowship, Pittsburgh, ed. E. Walsh, 1998, p. 503–525. This document lists many examples. For example, six were reported by D. Krummenacher, Isotopic composition of argon in modern surface rocks, Earth and Planetary Science Letters 8(2):109–117, April 1970; five were reported by G.B. Dalrymple, 40Ar/36Ar analysis of historic lava flows, Earth and Planetary Science Letters 6(1):47–55, 1969. Also, a large excess was reported in D.E. Fisher, Excess rare gases in a subaerial basalt from Nigeria, Nature Physical Science 232(29):60–61, 19 July 1971. Return to text. A.A. Snelling, Radioactive ‘dating’ in conflict, Creation 20(1):24–27, December 1997–February 1998. Return to text. A.A. Snelling, Stumping old-age dogma, Creation 20(4):48–50, September–November 1998. Return to text. Institute for Creation Research, Acts and Facts 27(7), July 1998. Return to text. C. Wieland, Sensational dinosaur blood report! Creation 19(4):42–43, September–November 1997; based on research by M. Schweitzer and T. Staedter, The real Jurassic Park, Earth, June 1997, p. 55–57. [Update: see Squirming at the Squishosaur and the linked articles for more recent evidence of elastic blood vessels in T. rex bones.] Return to text. D.R. Humphreys, Reversals of the Earth’s Magnetic Field During the Genesis Flood, Proceedings of the First International Conference on Creationism, vol. 2 (Pittsburgh, PA: Creation Science Fellowship, 1986), p. 113–126; J.D. Sarfati, The earth’s magnetic field: evidence that the earth is young, Creation 20(2):15–19, March–May 1998. Return to text. L. Vardiman, The Age of the Earth’s Atmosphere: A Study of the Helium Flux through the Atmosphere (El Cajon, CA: Institute for Creation Research, 1990); J.D. Sarfati, Blowing old-earth belief away: Helium gives evidence that the earth is young, Creation 20(3):19–21, June–August 1998. Return to text. K. Davies, Distribution of Supernova Remnants in the Galaxy, Proceedings of the Third International Conference on Creationism, ed. R.E. Walsh, 1994, p. 175–184; J.D. Sarfati, Exploding stars point to a young universe, Creation 19(3):46–49, June–August 1998. See also How do spiral galaxies and supernova remnants fit in with Dr Humphreys’ cosmological model? 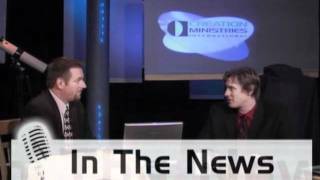 Dr Russell Humphreys himself explains …. Return to text. D. DeYoung, The Earth-Moon System, Proceedings of the Second International Conference on Creationism, vol. 2, ed. R.E. Walsh and C.L Brooks, 1990, 79–84; J.D. Sarfati, The moon: the light that rules the night, Creation 20(4):36–39, September–November 1998. Return to text. S.A. Austin and D.R. Humphreys, The sea’s missing salt: a dilemma for evolutionists, Proceedings of the Second International Conference on Creationism, Vol. 2, 1990, 17–33; J.D. Sarfati, Salty seas: evidence for a young earth, Creation 21(1):16–17, December 1998–February 1999. Return to text. Teaching about Evolution and the Nature of Science, A Review by Dr Will B. Provine; available online from fp.bio.utk.edu/darwin/NAS_guidebook/provine_1.html. (cited 18 February 1999). Return to text.